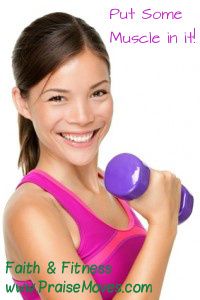 If you exercise regularly, you may have already determined what is the best time to exercise for you. Once you have a routine established, it's important to stick with it. I like doing PraiseMoves in the AM or taking an early morning walk with the Lord in prayer and praise. In the afternoon is when I like to get on my elliptical or do a MIRA! workout. If you're not consistent with exercise and you find that it's wearing you down instead of building you up, you may be interested in the work scientists are doing in the area of “circadian rhythms,” the internal clocks God put in place within our physical bodies. 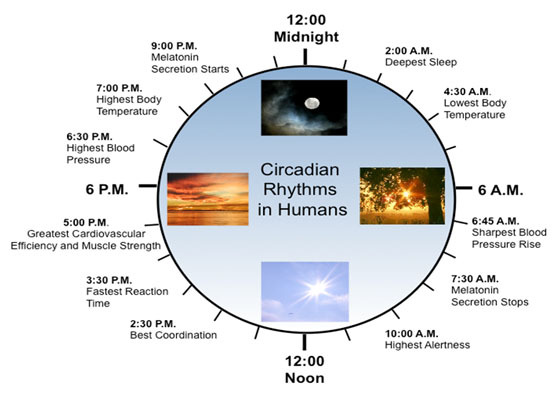 Circadian rhythms, the daily cycles which govern certain physical processes, can help us determine the best time to exercise for each one of us individually. 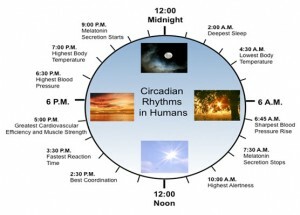 These daily cycles originate in the hypothalamus just above the brain stem. They regulate everything from body temperature and blood pressure to metabolism. The influence of circadian rhythms on body temperature seems to have the greatest effect on the quality of the workout we have. When your body temperature is at its highest, your workouts appear to be more productive. They are likely to be less productive when your body temperature is low. Your body temperature is lowest one to three hours before you wake up in the morning, and at its highest late in the afternoon. Later in the day your muscles are warmer and more flexible, reaction time is quicker, blood pressure and resting heart rate are lower, and strength is at its peak. Since studies have shown that exercise during these late afternoon/early evening hours produces better results, it would be good to determine what time that is for each of us. This will take a bit of work, but worth it if you really want to know your circadian peak body temperature–to discover the best time to exercise for you. 1. Record your temperature every couple of hours for 5 or 6 days in a row. Body temps usually fluctuate by 1.5 degrees plus or minus throughout the day. 2. Try exercising during the period 3 hours after your highest body temperature. For most people, this will fall in the range between 4:00 p.m and 6:00 p.m. If you are an early bird or night owl, the times may fluctuate 2-3 hours on either side of that, so adjust accordingly. If stress relief is your goal, exercise always works, all the time. And if you're wondering when is the best time to exercise to train for an upcoming event, it all depends on what time you'll actually be competing. If an upcoming marathon begins at 7:00 a.m., try training at that time of day. The best time to exercise overall? For some, the best time to exercise is first thing in the morning; for others during lunchtime, and others find exercise easiest to do as soon as they return home from work and before dinner. According to the American Council on Exercise (ACE), those who exercise in the morning are most successful in making exercise a habit. What's the Best Time to Exercise for You? Comment below and let us know your best time to exercise. What type of exercise do you like to do best? Click to Join us on Facebook and let us know Your Best Time to Exercise!